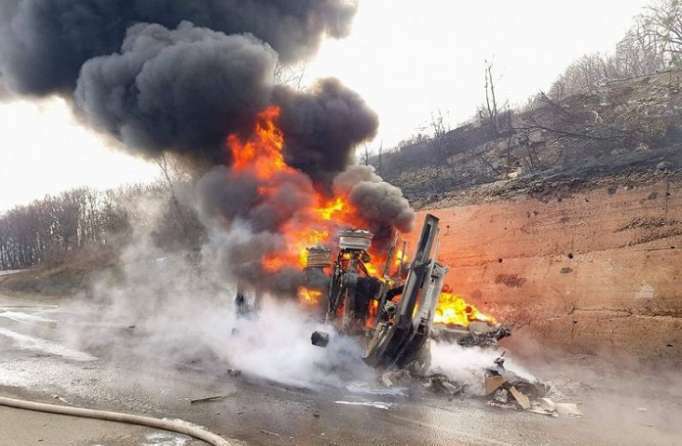 A petrol tanker belonging to the Azerbaijani oil and gas company SOCAR crashed in Georgia's Kakheti region, on the Telavi-Gombori highway, APA reported. The car flew from the road to the roadside and burst into flames, the driver managed to jump out of the car. No one injured as a result of the incident. About 23 tons of gasoline flowed out as a result of an accident.